If you are a foodie and in Israel, you may want to run over to NEU Table for their Thursday pop-up summer series in Herzliya. 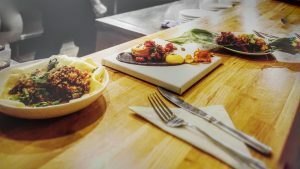 The intent of this once a week pop-up is to break down the barrier between the chef and the customer, with their open kitchen customers get to watch the 2 chefs in action: Jacob Morrison & Almog Podolsky. Jacob was recently the sous chef at the Ritz-Carlton Hotel in Herzliya Pituach where he was recognized and awarded as a 5-star chef for his leadership and innovations. Almog attended Bishulim Culinary School, he has previously ran his own private catering company based in London called ‘From the heart to your table.’ Almog has had previous experience working in the Ritz Carlton Hotel and Herbert Samuel Restaurant in Tel Aviv. NEU Table’s menu features different types of tapas. Try the East to West Fish (fish of the day, Asian demi sauce, banana leaf, torched vegetables with ginger, chili, green onion, peppers with flowers of coriander mint and baby herbs), Lasagna Sundae (homemade pasta with creamy tomato sauce, slow cooked beef ragu, summer roasted vegetables, crispy pan gratata, with basil oil), and others. 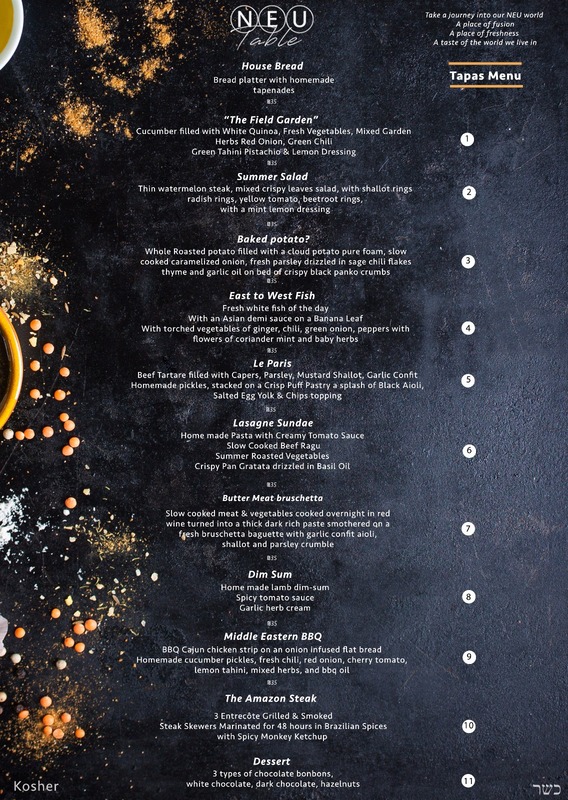 Meat items include Middle Eastern BBQ (BBQ cajun chicken, onion infused flat bread, homemade cucumber pickles, fresh chili, red onion, cherry tomato, lemon tahini, mixed herbs, BBQ oil), the Amazon Steak (3 entrecôte grilled and smoked, 48 hour marinated steak skewers in Brazilian spices, and Spicy Monkey ketchup), and Le Paris (beef tartare with capers, parsley, mushroom shallots, garlic confit, homemade pickles, on crisp puff pastry with black aioli, salted egg yolk and chips). They are open Thursdays only, from 7:30pm-12am. Make sure to book your table in advance. In the future, NEU Table may seek to run these events more frequently. 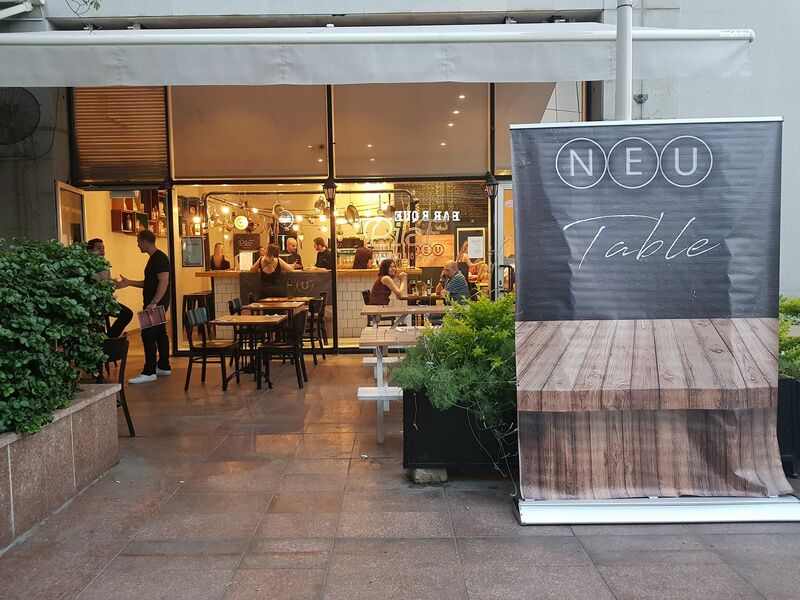 NEU Table is certified by Rabbanut Herzliya.